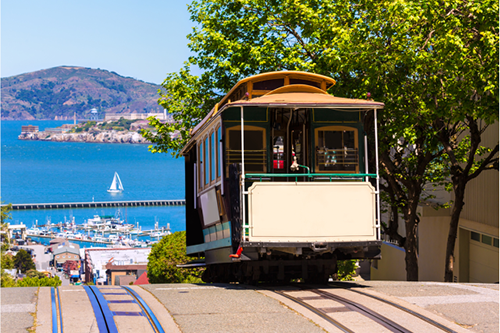 Looking for a San Francisco holiday package? Combine your flights and hotel in one booking with Webjet and start your holiday itinerary with one of our cheap package deals. From short breaks to romantic escapes, there’s dozens of holiday packages to choose from in San Francisco. Compare the holidays available on your travel dates and choose from dozens of hotel and flights packages, with a handful of extras from free room upgrades to an included breakfast buffet. Whether you’re heading on a weekend break or planning a lengthier holiday, there’s plenty of cheap holiday packages to choose from in San Francisco. Get started on your next holiday today and save on a combined flights and hotels booking with Webjet.